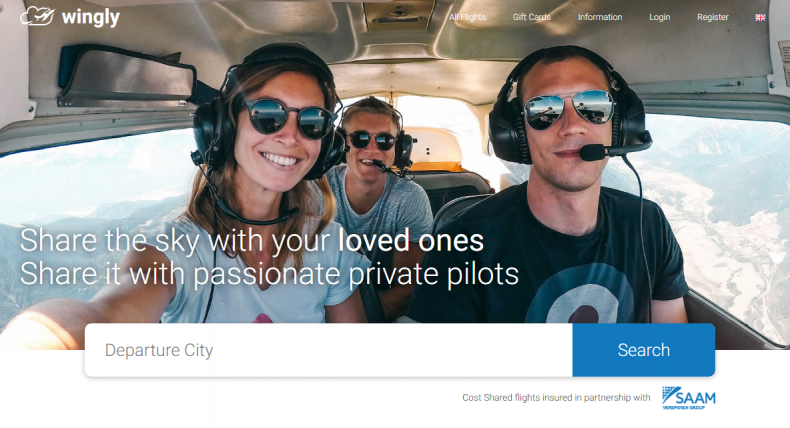 This France-based start-up is connecting private pilots with passengers for economical ride-sharing on an Uber-like application. An application that goes by the name of, Wingly, has recently been introduced to link passengers with private pilots nearby, willing to offer a flight to their preferred destinations. The service is being highly regarded since its inception, because passengers have been able to grab tickets for staggering low prices. The startup, which was started about two years ago, is offering these services across the Europe. It currently is offering about 30,000 flights in about 3,000 destinations across the continent, seamlessly connecting enthusiastic passengers with private pilots. Wingly says that it has over 80,000 users in its current community. Much like the other car-sharing services that are quite famous nowadays, Wingly also requires their pilots to sign-up and verify themselves. After submitting copies of their licenses and medical certificates, the pilots who own light aircraft with two to six seats are then allowed to offer flights. Usually, the service requires a minimum of 100 flying hours and the pilots also have to demonstrate their recent flying experience. After the necessary verification process, the pilots are then added to the company’s database, which then links them with the passengers. Likewise, prior to the flight, the passengers also have to show their passport in order to demonstrate that they are allowed to fly to the proposed destination. The services as offered through Wingly are also way too cheap. A single flight from London to France may only cost about 30 British Pounds about PKR 4,000. And unlike the corporate airlines, there aren’t any cancellation charges, if for any reason the pilot or passenger no longer want to fly.